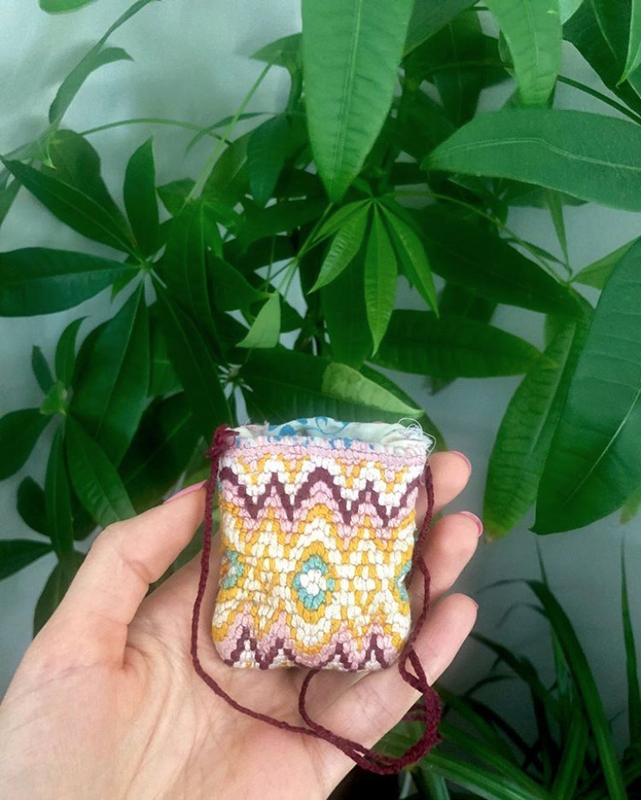 Today I filled my lil sacred pouch with fresh prayers and herbs and seeds and crystals and a half dollar coin that mysteriously appeared in my pocket. I needle pointed this last year and since then it has stayed in the pocket that rests on top of my heart in the jean jacket I bring everywhere. It feels good to have a potent collection of things that remind me to stay grounded and remember who I really am when I’m out in the world getting overstimulated and overwhelmed. Life can be hard and things seem to be especially difficult for everyone lately. I wish I had more to offer but the words “be kind” are all that come to mind.